Edinburgh’s Princes Street is the start of the New Town and a lovely place to enjoy a day shopping with its beautiful gardens running alongside it and the castle high up overlooking it. There is a wide choice of shops from the luxury historic Jenners to modern day Apple store, boutique shops and high street stores like M & S. There is no shortage of places to stop and eat and of course the gardens are just across the road if you feel like a restful open air lunch beneath the castle. 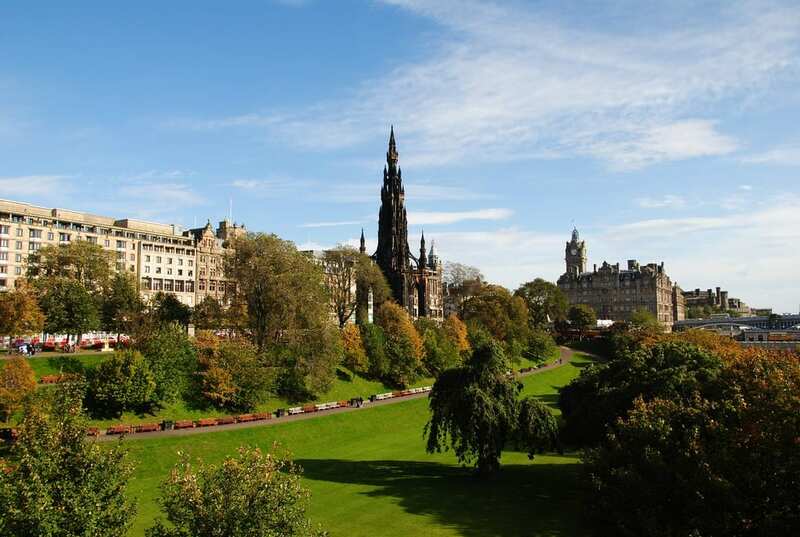 You can even take in a bit more history with a visit to Scott Monument at the east side of Princes Street Gardens.